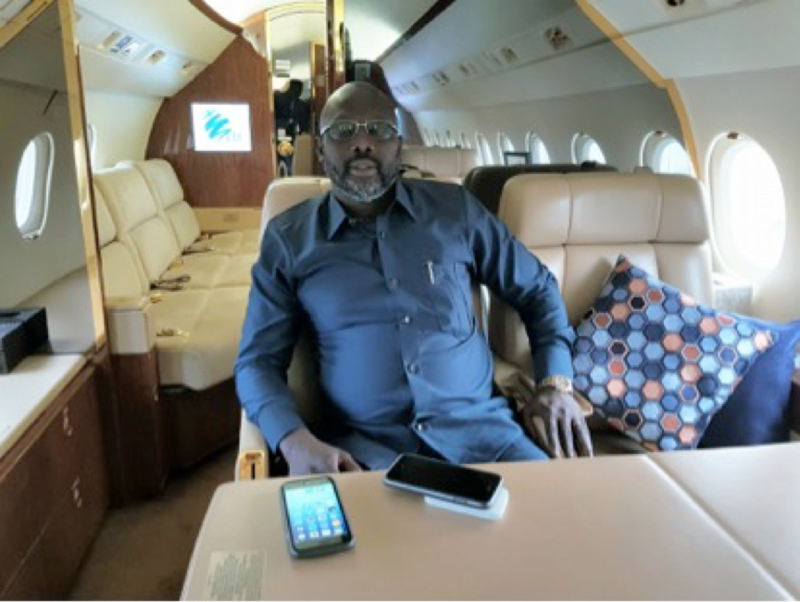 MONROVIA – The controversy surrounding President George Weah’s constant use of a private jet for his foreign travels continues to expand as the opposition political parties believe the President actually purchased the private jet secretly. 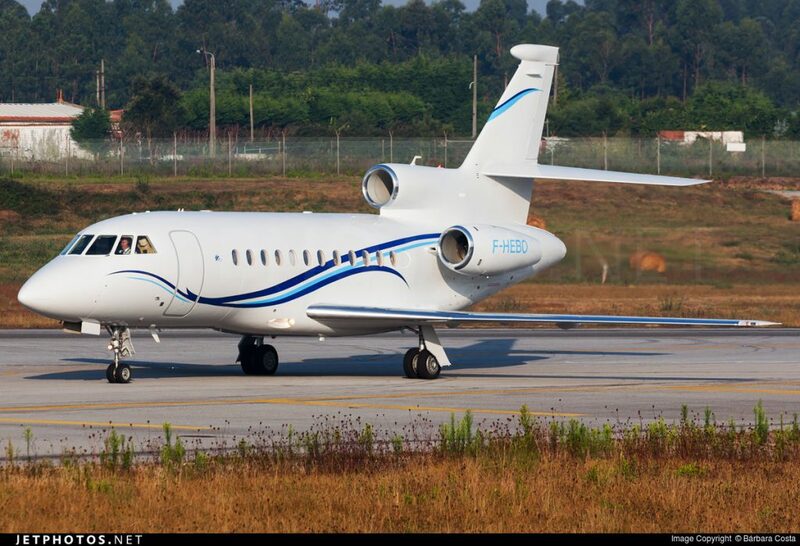 The jet with tail identity F-HEBO was first spotted at the Roberts International Airport after President Weah’s January 22 inauguration. It was then speculated that the President had bought the plane for a lofty sum. However, in reaction to that speculation, President Weah during a program at the Foreign Ministry said his government was quite young and broke that they could not even buy buses, lest to say a private jet. “The airplane issue is causing problem. We don’t have a bus; how will we buy a $30 million plane? Where do they get this kind of news from? It is not possible for us to buy a plane for $30 million; we are just coming to office,” the President quipped. President Weah played the plane low for a couple of months until it resurfaced at the RIA in November 2018 when he returned from France. A FrontPage Africa investigation found that the private jet, a Dassault Falcon 900 EX with tail number F-HEBO, which the President had been using took him from Accra on November 15, 2018. However, its flight data stopped before it arrived at the Roberts International Airport. According to an aviation expert, a lot of private jet owners remove their flight data from the public databases to maintain secrecy about their movements. He, however, noted that such was not illegal. As part of their reaction to President Weah’s State of the Nation address, leaders of opposition political parties in Liberia on Monday alleged that the Weah-led administration had acquired the private jet to facilitate the President’s foreign travels. 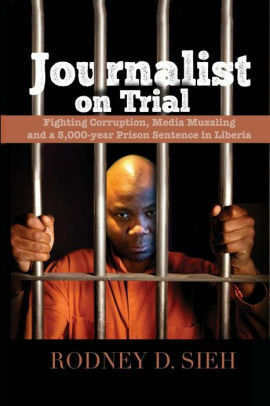 On this basis, many believe that President Weah violated the Code of Conduct for not informing the nation about the private jet. It turned out that the ‘wealthy friend’ in question is Mahamadou Bonkoungou, CEO of EBOMAF, a construction company in Burkina Faso. It was just few weeks after the reports of the private jet emerged that the EBOMAF Financing Agreement surfaced. It was speedily passed by the legislature and signed into law. The President came under fire for granting the US$420 million loan to his businessman friend whose plane he has been using for foreign trips and a clear violation of the code of conduct and a conflict of interest. Despite being signed into law in June 2018, there has been official update on the status of the loan agreement to date. Liberian Rice NGO Mismanaged US$1.4Million Japanese Grant?